*Due to differences between monitor displays, actual color may vary slightly from image. What's more, we are committed to providing each customer with the highest standard of Customer service ,feel free to contact us if you have any question before or after purchasing,Our customer service is ready any time for you. Beware of cheap, low quality replicas! To see pmore pretty things,Please search ""Kathyclassic"" on Amazon. 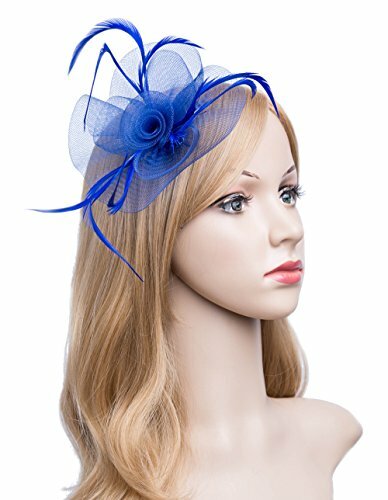 100% handmade.Material: sinamay hat, feather, mesh. If you have any questions about this product by Kathyclassic, contact us by completing and submitting the form below. If you are looking for a specif part number, please include it with your message.